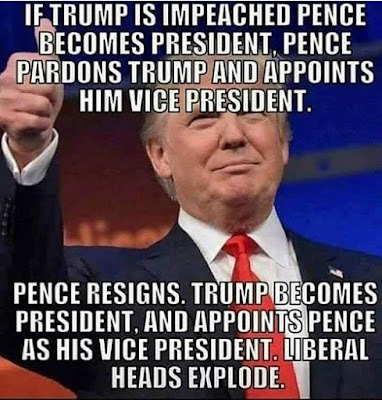 Except that Pence would be owned by the Koch-sucking Rove Republican swill, who would not tolerate him pardoning Trump, much less appointing him. Get real! Appointment as VP would require the consent of the Senate . Als, if Trump is impeached and removed from office, he would be permanently ineligible to hold ANY office in the government of the United States. 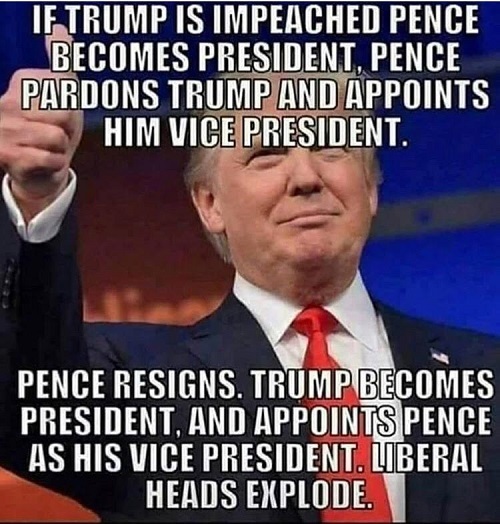 However, if Trump were to resign before being fired, then this scenario would work.